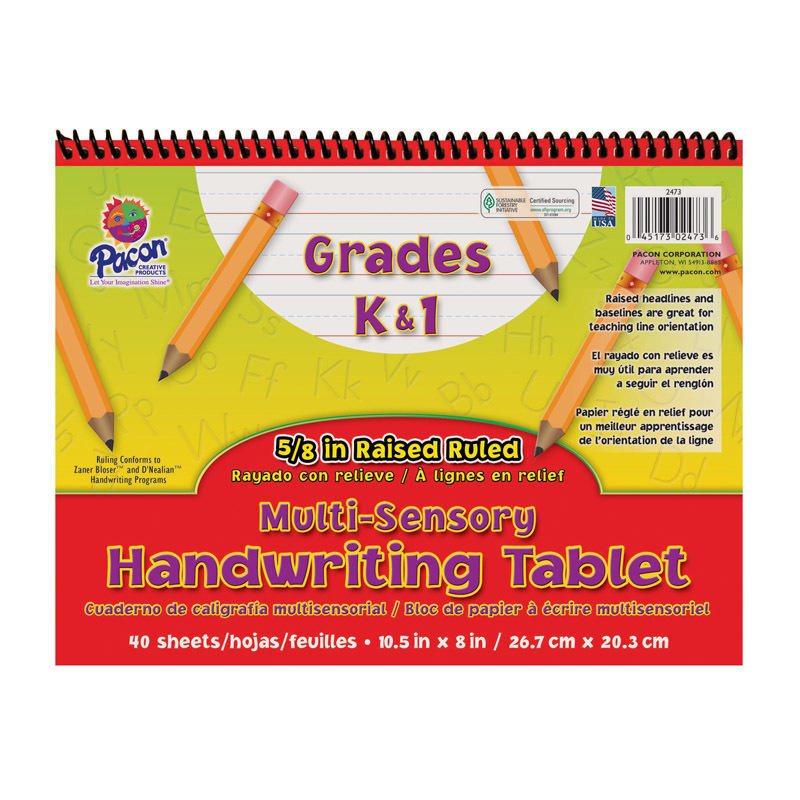 The Multi-Sensory Raised Ruled Paper has raised headlines and baselines which help students stay within the guidelines. It helps teach handwriting through two senses, sight and touch. The headlines are blue and the baselines are red. It has a 5/8? ruling, 5/16? dotted midline and 5/16? skip space, and conforms to both D'Nealian™ and Zaner-Bloser™ handwriting styles. These spiral bound tablets will lay flat when open for writing. Tablets contain 40 sheets with a heavy chipboard back and protective retail-friendly cover. Recyclable.